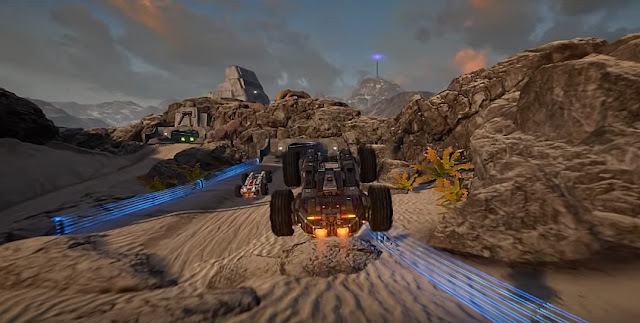 Although we have already done a big feature on Caged Element's futuristic racer of 'GRIP' which is inspired by the incredible fast paced racer of Rollcage, published by Psygnosis way back in 1999. We are here to give you the heads up over a new Dance of Destruction Trailer that has been released during the Kickstarter campaign. Currently the Kickstarter still has a long way to go in pledging as so far they have reached a $141,282 pledged of $657,000 goal, but with the hope of the destructive power of the cinematic trailer to entice people to start backing. So sit back and enjoy!